The solution to one of your plastic problems is in your linen closet. I was recently shopping online for cloth produce bags and gaping at the cost of shipping when it dawned on me that I should just make my own. Even though I have zero sewing experience, surely it’s not that hard to convert an old cotton sheet into a bunch of sturdy produce bags, right? 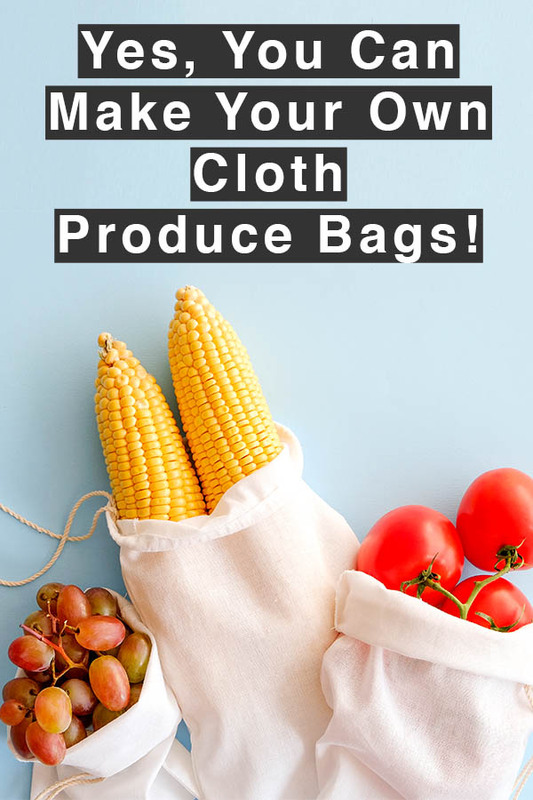 That’s when I came across Anne-Marie Bonneau’s tutorial on how to make your own cloth produce and bulk food bags. Bonneau, who’s known as the Zero Waste Chef and has no end of delightful tricks up her sleeves for reducing waste in the kitchen, makes it sound easy. She uses a 23″ x 17.5″ template and cuts as many bags as she can out of a freshly washed sheet. She finishes the edge by serging (or you could hem it), pins and sews the edges, and leaves them with open tops. It was the open tops that stumped me initially. I had assumed that I’d need a drawstring to close it up, and that’s far beyond my level of sewing ability! But as Bonneau pointed out, all you need is an elastic. Shop with a small ball of rubber bands in your purse and you’re set. It’s easy for a cashier to stretch open for a quick glance inside to confirm the contents. Bonneau had a few more suggestions. When buying bulk foods, depending on the store, you may have to record the bin number to make things easier for the cashier. Writing the number directly on fabric doesn’t always work, nor does it wash out predictably. She suggests writing the number down next to the item on your shopping list, whether on your phone or a piece of paper. Again, a simple yet effective solution. One commenter suggested embroidering (yikes, that sounds complicated!) the bag’s weight onto the exterior so that it doesn’t have to be tared (pre-weighed) by the cashier every time. Another approach is to choose a lightweight material that does not affect the final weight on the scale and doesn’t need to be tared, and yet is sturdy enough to hold reasonable quantities of whatever you’re buying. Cotton and linen are ideal. 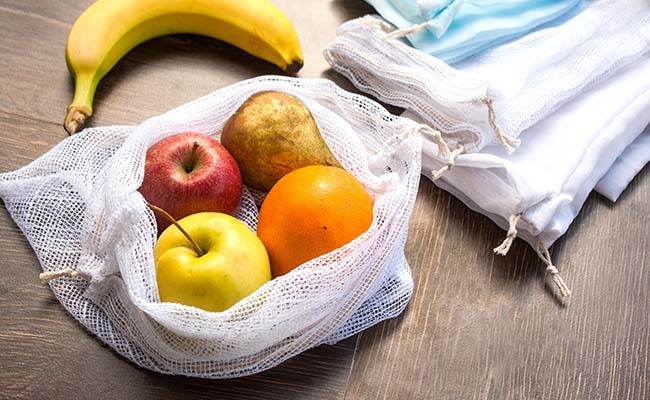 Dark fabric won’t show stains as readily if you’re prone to forgetting produce in the bottom of the fridge, but you should really sort food once you get home from the store to make sure that doesn’t happen. Wash bags regularly because they can pick up all kinds of nastiness in the grocery cart (after every shopping trip is ideal) and hang to dry. They should last a long time and bring you lots of satisfaction in the process. Get together with a group of friends to make bags one evening. I bet this is the kind of thing that a lot of people would happily use, but haven’t necessarily gone out of their way to acquire yet.